I'm excited to be at the start of an action research project with three other schools - our aim, over the next five weeks or so, is to inquire into whether we can use quad blogging to improve student writing. 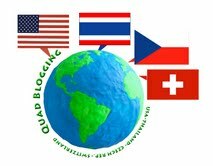 Quad blogging is something new, it was started last year by a David Mitchell, a Deputy Head in the UK, whom I first met at the Google Teacher Academy in London in 2010. 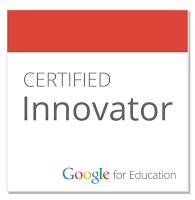 A teacher at our school heard about this initiative and was keen to join a "quad". She contacted a school in the UK who were also interested in blogging, and I found her other classes around the world in Japan, Hong Kong, China and Chile who wanted to join in too. Her class was involved in two rounds of quad blogging during March last year. Quad blogging, which has been called the most interesting development in the last 20 years of education, is basically a group of four classes with blogs. Each week one of the classes is a focus for the others - to visit their blogs and to leave comments for the students. Recently I was contacted by Silvia Tolisano who wanted to use quad blogging to investigate the benefits of blogging on 3 different levels: for the students, the teachers and the curriculum - of course I was keen to join in with the inquiry. Our quad is made up of four schools in four different countries: the USA, the Czech Republic, Thailand and Switzerland. Last week we had a Skype conference call where we talked through the form our action research will take. We talked about the fact that good blogging starts with reading other blogs and so it would be necessary to set aside time during the four weeks of the quad blogging to focus on reading each others' blogs. We discussed different ways we could do this, for example have a Drop Everything And Read a Blog time each day. We decided that it is important to set up a routine for reading the blogs, before we start to think about how to reply by writing comments and we all felt that this should be part of the normal reading and writing lessons not an add-on. We discussed the way that students read blog posts now and about the fact that some students don't really read a post in depth but just jump around in it. To encourage students to read in more depth, we thought it might be valuable for us to set aside time for student to talk about and share what they have read. Our quad is made up of students from three different grades - one class of Grade 3s, two clases of Grade 4s and one of Grade 5s. In addition there are students who are learning English as an additional language in all these classes, and in one school the students are bilingual English/Hebrew speakers. We felt it important to let the students know that we don't expect all the writing and commenting to be at the same level. We talked about the fact that we should make sure that each student in the class is assigned one student to post a comment on, but that after that we can encourage them to respond to as many others as they like. We think it could be a good learning activity to reflect on why some students' posts get more comments than others. Perhaps if a student only gets one comment this might provide us with an opportunity to teach about improving the quality of their writing or how students can increase the amount of comments they receive – for example they might need to network more and perhaps leave more comments on other students' blog posts asking students to get back to them. We can teach students how to add a link back to their blog post into their comments. Above all we thought it really important to ensure that in the week that is focused on their blog, the students reply to the comments they have received. In order to know if quad blogging can improve student writing we need to do a pre-assessment so we know what level the students are already writing at. Silvia developed rubrics for writing and for commenting. We decided we would ask each student to choose a blog post that they have already published this year so that as teachers we could use this to pre-assess the writing using the rubric. Then we will ask them to choose a comment that they have written on someone else's post and self-assess their comment based on the comments rubric. This way we will have both a teacher- and a self-assessment before we start the quad. At the end of the quad blogging we will use the same rubrics to see if they have improved on the posts and comments they are making. Students – how can they improve blog comments and posts? Teachers – how can we become better writing teachers using blogging as the genre of writing? Coaches – how can we best support teachers? We are also looking at the impact this has on the reading and writing curriculum. As we go through the four weeks of the quad blogging we decided we'd video interviews with our students - all four teachers will be asking their students the same questions. We will also make anecdotal records about what we observe. We're particularly interested in how quad blogging is working with reluctant readers and writers and with our EAL students. At the end of the quad we will measure our success or otherwise in improving student writing of blog posts and comments using the same rubrics and will discuss how this process has impacted on our own teaching and learning. Why not follow along with our action research yourself and share your findings as to how blogging can impact student writing.